Exclusive to Simply Colors, these personalised Dinosaur polo shirts are a perfect gift for children of all ages. 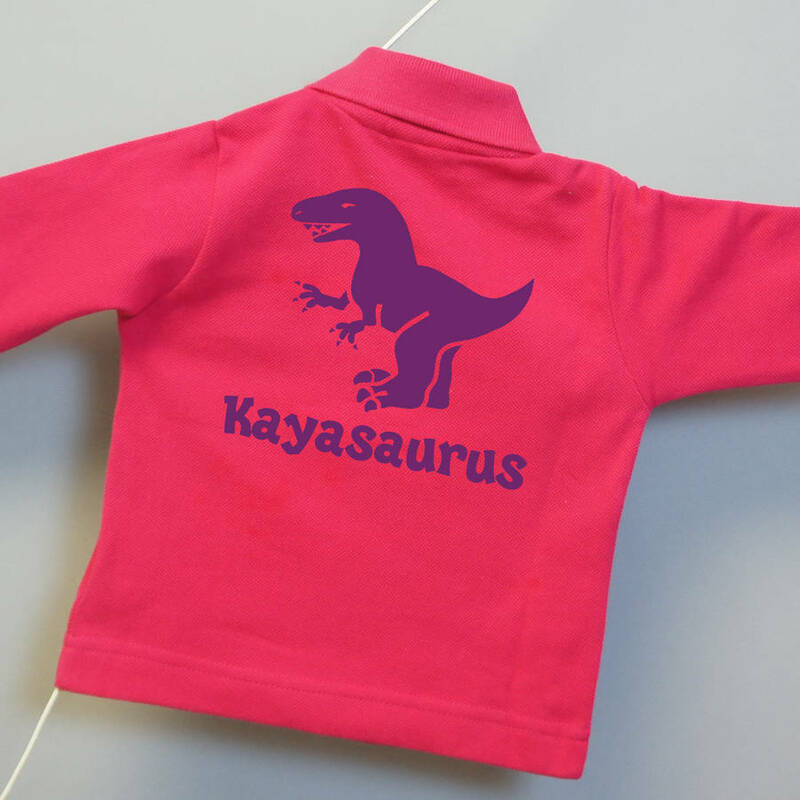 Our personalised long sleeved Dinosaur polo shirts are super comfy and look great! 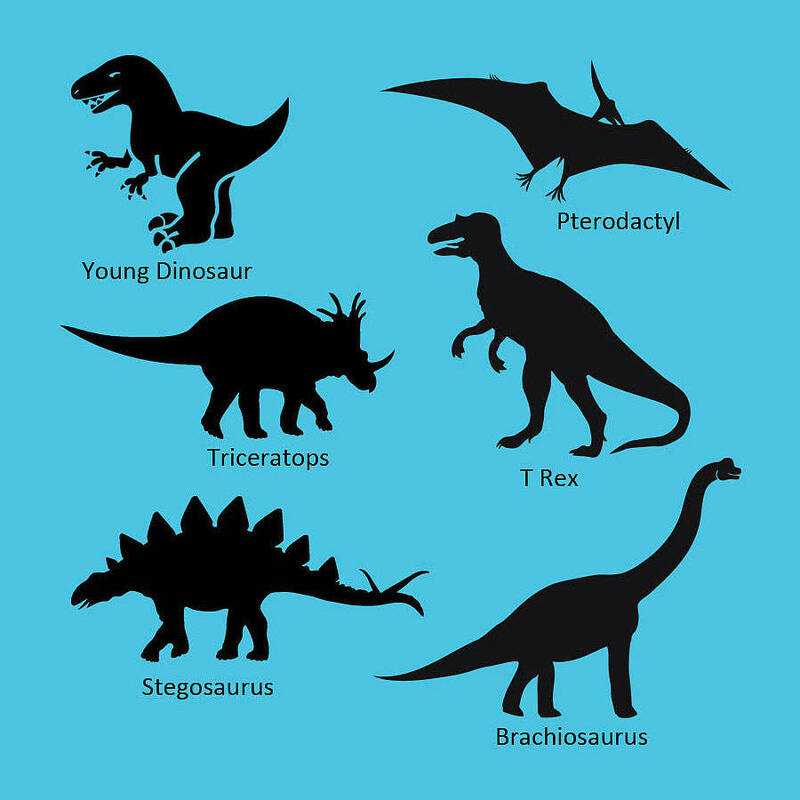 Simply select which Dinosaur you'd like and enter your dinosaur name in the box provided! Please write the name as you would like it on the shirt, for example Harrysaurus. We will create a dinosaur name for you if only the child's name is provided, ending in either 'saurus' or 'osaurus'. 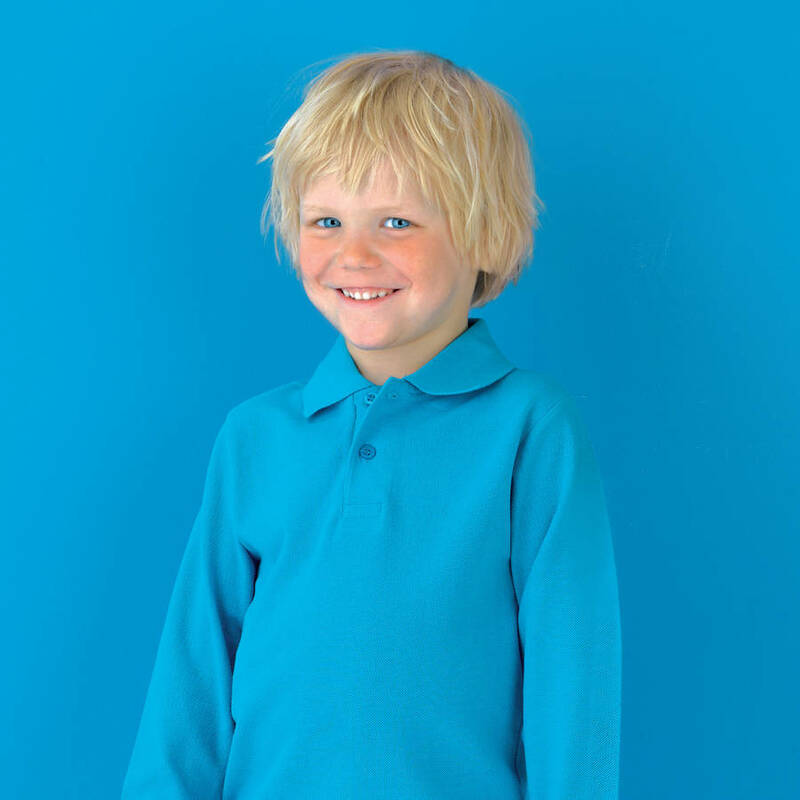 When creating your Dinosaur polo shirt, we recommend having a look through our product photos. 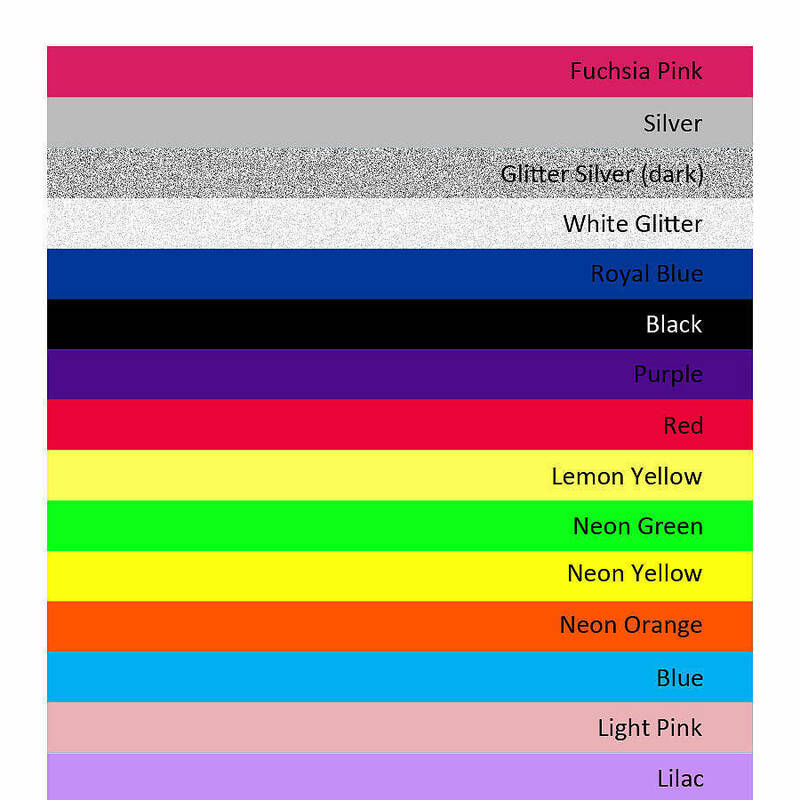 In them you will find; images of the dinosaurs, font images, shirt colours, print colours and also a size chart. When selecting the colour combination, we would suggest staying away from colours where the print and shirt colour are too similar. This is because you will not see the print. 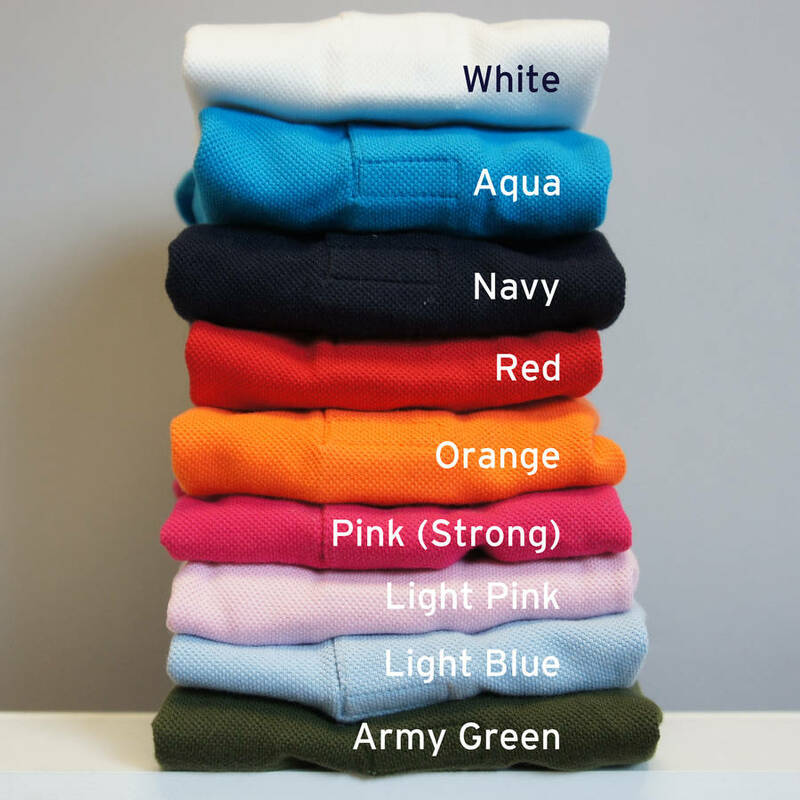 Similar colours include; Red or Fuchsia on our Pink shirt, Red or Fuchsia on our Red shirt, Navy or Black on our Navy shirt, Blue on our Aqua Blue shirt or White on White. The shirt is made from 100% cotton (250grm, pique). Care instructions: The polo shirts can be washed up to 40 degrees, we would recommend 30 degrees for at least the first wash and should not be tumble dried as this may affect the quality of the print. Iron on reverse. The sizes start at 0m and go up to 14yr, and they tend to be a slim fit. 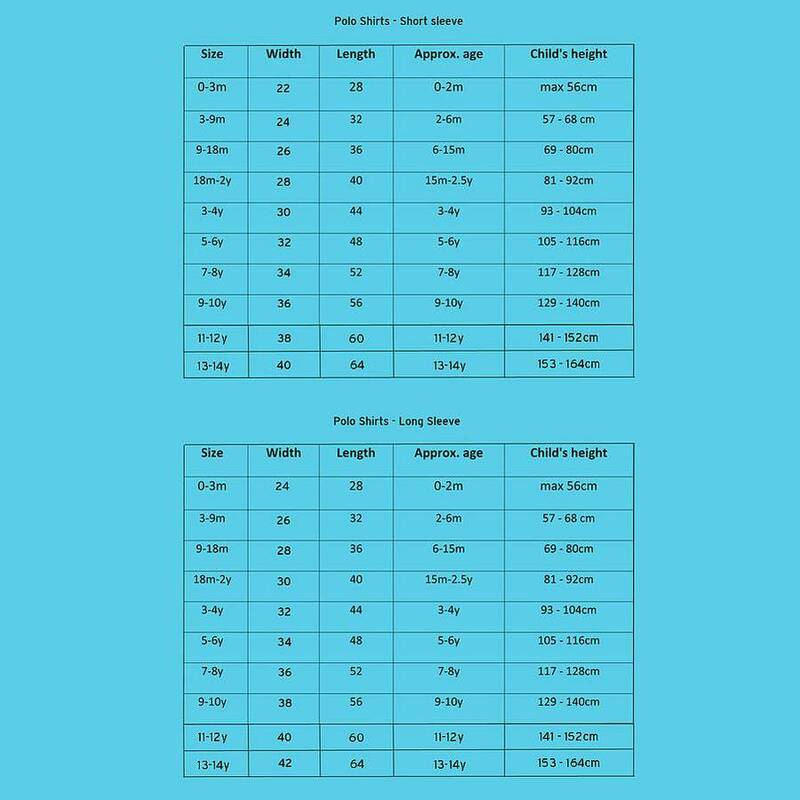 Please see the size chart in the above images for further details.